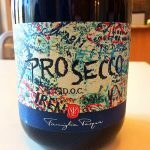 Pasqua, an Italian vineyard that never disappoints, now makes a brut Champagne-like Prosecco for $20. Expect super-fine intense bubbles and an all-around good time. 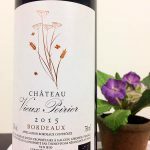 It’s hard to find a sturdy yet smooth Bordeaux at $20, so the Château Vieux Poirier is not just a delicious wine, it’s also a bargain. You’ll taste blackberries and plums in the mouth. It’s perfect with a tasty steak, no kidding. This little baby goes with everything on the table, even pizza. Need a little buoyancy in your day or dinner party? This is it. 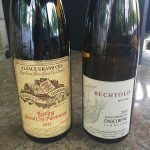 Faith calls the Riesling Grand Cru Furstentum a doozy of a wine. 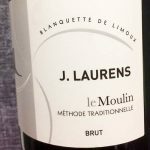 This Riesling is made in Alsace and available in our region for between $35 and $40. 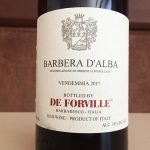 The Barbera D’ Alba by De Forrville® has a saturated fruit flavor, thanks to the robust Barbera grape, “the grape of friends,” Michael Kane quotes from an Italian winemaker.